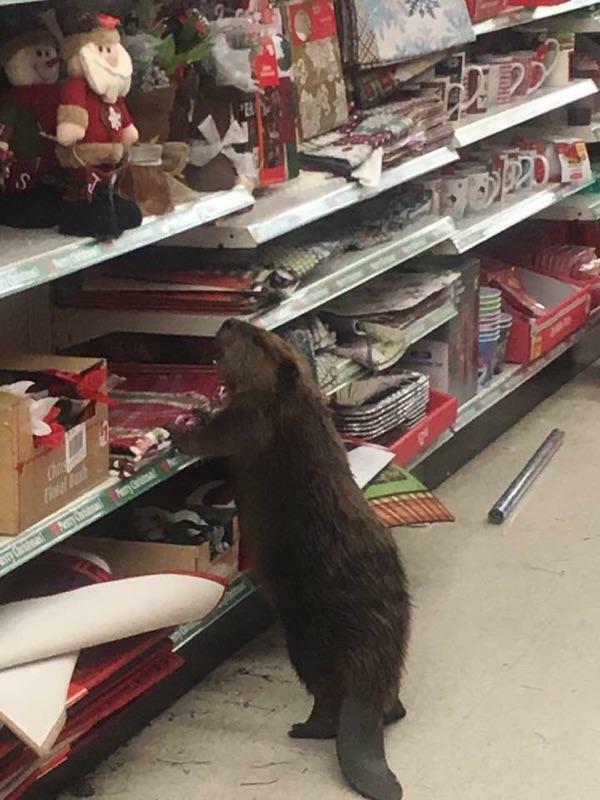 A beaver left his or her dam in Charlotte Hall Monday on a quest to find Christmas decorations at a local dollar store, the St. Mary's County Sheriff's Office reports. Witnesses say they saw the beaver attempting to select the perfect Christmas tree and checking out other discounted holiday decor. 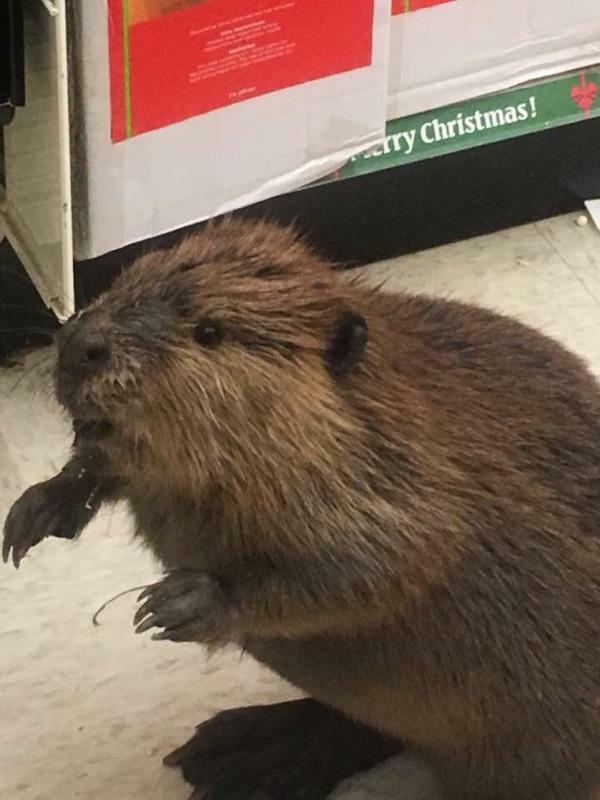 Corporal Yingling was called in after the beaver reportedly caused some property damage to the store. 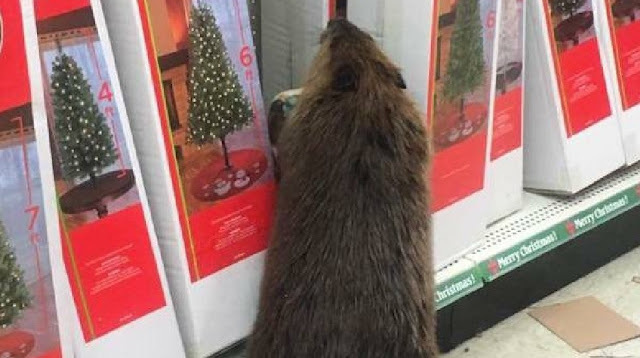 Officials say the beaver attempted to flee the area when Yingling arrived but he or she was safely "apprehended" by Animal Control. The poor thing got a little bit overwhelmed wanting to beat the queues and get the best deals on holiday presents, so in the process he tore an item or two. 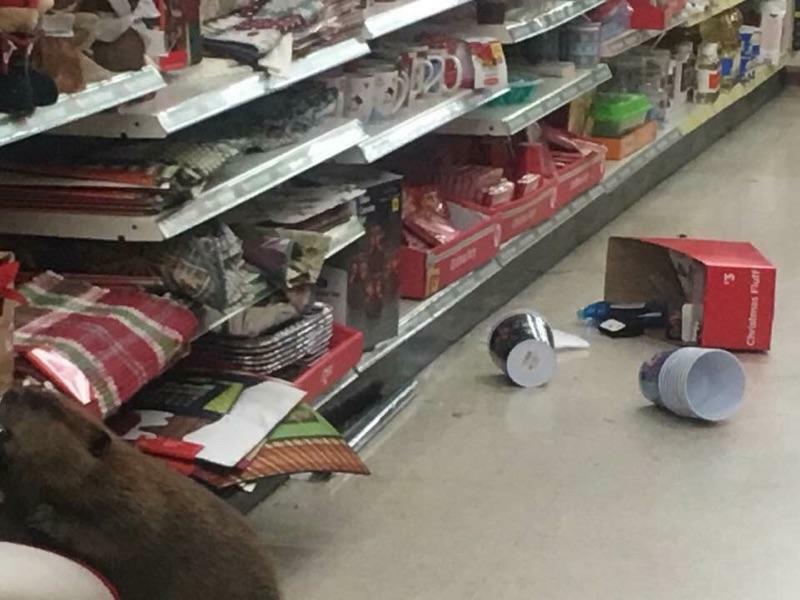 Meanwhile, St. Mary’s County Sheriff Office said they received a call about the destructive customer and was asked to call animal care. “Corporal Yingling had an interesting call on Monday when the suspect, caused property damage to a dollar store in Charlotte Hall,” the sheriff’s office posted on Facebook. “The suspect attempted to flee the area but was apprehended by Animal Control… As a law enforcement officer, you just never know what you’re next call might be,” the sheriff’s department said. 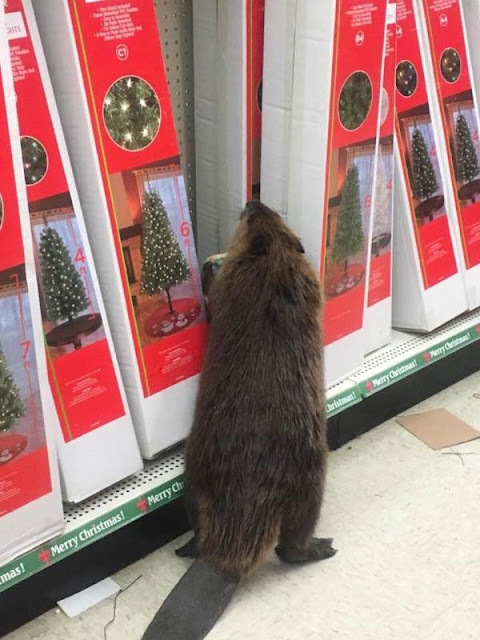 The beaver who likes to shop smart was released back into the wild. Unfortunately there is no information whether he got to take his Christmas tree with him. 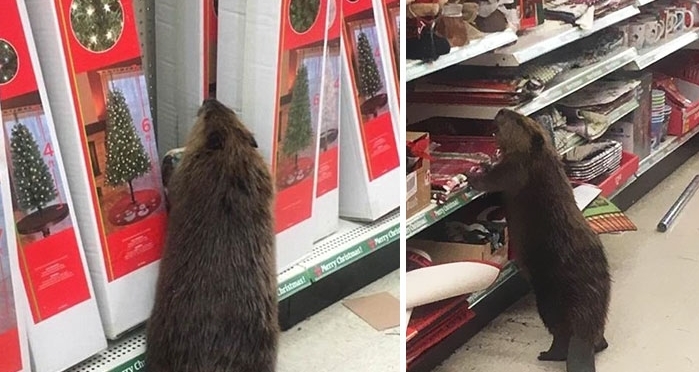 Responses to "Wild Beaver Spotted In Supermarket Looking For A Christmas Tree"